Located on the beachside of The Sandestin Golf & Beach Resort ® The Luau is a pair of newly constructed high-rises with a Polynesian flare. Luau 7027 at Sandestin ® is the perfect sized condo for a couple or small family with a fully equipped kitchen to cook dinner for everyone. 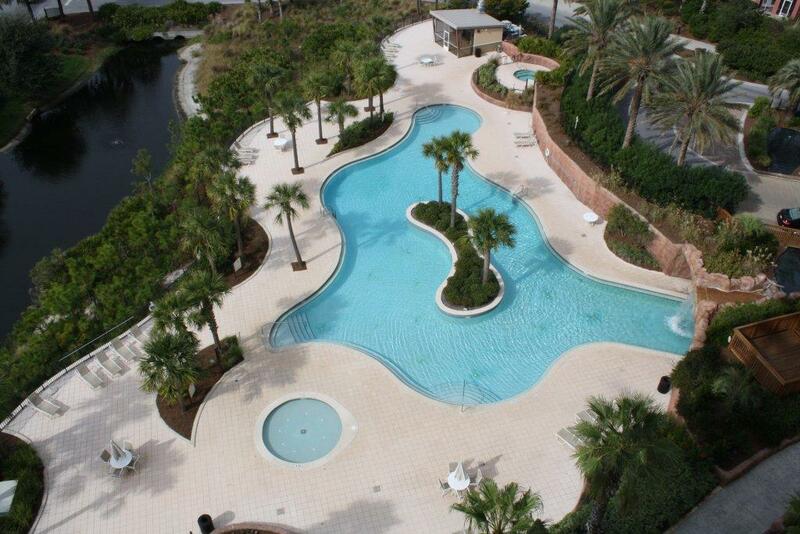 This Sandestin Golf and Beach Resort ® condominium boasts a 4,000 square foot lagoon style pool area with a swim behind waterfall, seasonal tiki hut, fitness room and barbecue grilling area. The beach is just a short walk away down the private boardwalk offered to the guests of Luau. Luau Resort 7027 is located on the 10th floor of Tower 2 and offers extraordinary eastern views of the Gulf of Mexico from the balcony and Master Bedroom. Sandestin Golf & Beach Resort ® offers tram service, so you can hop across the street to The Village to enjoy fine dining and family activities! When I read travel reviews I really want to know the truth about a place.With that being said I'd like to say Luau 7027 is simply a gem along the emerald 's very clean,contemporary & comfortable. It had basically everything I needed & the location is great.I made a call to Destin Getaways,spoke to property manager expert Eva G who I must say was very professional yet personable.Eva took care of every detail of my stay from start to finish.I've already started booking my next stay.I would recommend Luau 7027 along with Destin Getaways to friends & family,they are what I call my one stop vacation shop. Beautiful condo with everything you need. The resort is amazing, pool right outside the tower, beautiful beach a few steps away and the balcony has a mesmerizing view! Everything was as expected, we had stayed there in 2017 so we were happy to return. However, you all really need to update the couches in your condos. They are absolutely awful to sit on!! We had the same issue last year in a different unit. The condo unit was overall nice, with a few minor issues. The shower curtain was ripped, but the rest of the bathroom was in good working order. The kitchen was well stocked, although the fridge icemaker did not work. Beautiful view from the balcony. Very easy walk to the beach. Overall the rental was great. The resort was beautiful with a lot of amenities. It is very close to the beach. The view is beautiful. The only concern I have is the couch bed. It was not fit for anyone to sleep on. If more than 2 people are planning on staying in this rental there needs to be an update to the couch bed. 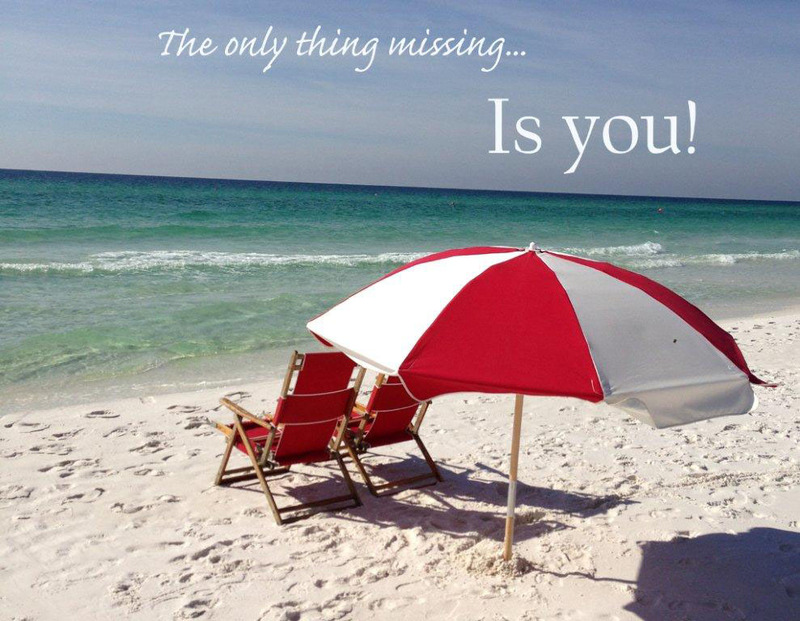 Other than that, we plan on going back to Destin and renting through Destin getaways. First time to Florida and it was amazing! We will be def booking again for next summer! I've stayed at the Luau over 5 times in the past couple of years-always a nice stay. Unfortunately, this time, there was a terrible smell on the hall way of the floor this unit was on and partly inside the unit itself. We believed it to be coming from the trash chute. The smell lasted the enitre duration of our stay. The unit was nice, but definitely needed some updating. 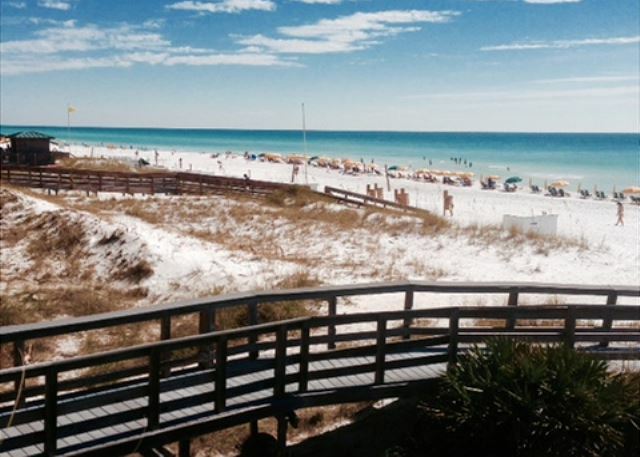 Overall, it made for a short get away and we love being in the Sandestin resort. Luau is in the perfect spot - close to the beach, outlets and restaurants!! The unit could use some updating however, the view is EXCELLENT. My wife and I absolutely loved the property at SanDestin Luau! It was just what we needed to unplug and unwind from our daily grind. We spent 4 great nights there and enjoyed the Beach House restaurant being right there, a shuttle to BayTown and the pool was great (minus the ants)! Destin Getaway went out of their way to make our vacation enjoyable. Highly recommend this location if you want to be close to the beach. 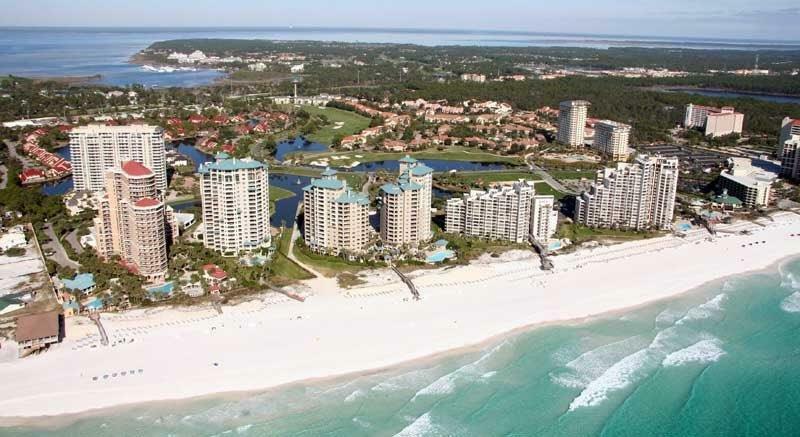 We travel to Sandestin frequently and this is the perfect condo for teenagers. Parking was full when we returned from dinner one night. Appears as though people are leaving cars there for weeks as there was a lot of dust and it was obvious that the cars had been idle for some time. We loved to stay at Luau! This time we didnt like at all the view from the unit but it was ok. At least had a little bit of ocean view. This time also I saw more luau staff walking around, always with a smile. For sure we are comming back next summer! Great group with a great product. Clean and comfortable. We had a great time. The rental was clean with good views of the water. The grounds were well kept and we had good access to everything. The only problems we had was there was only one remote to the two TV's, the ceiling fan in the bedroom wabbled making a noise that was difficult to get use too. In addition the room was only stocked with 1 roll of toilet paper and 3 trash bags. Overall this was a good value. 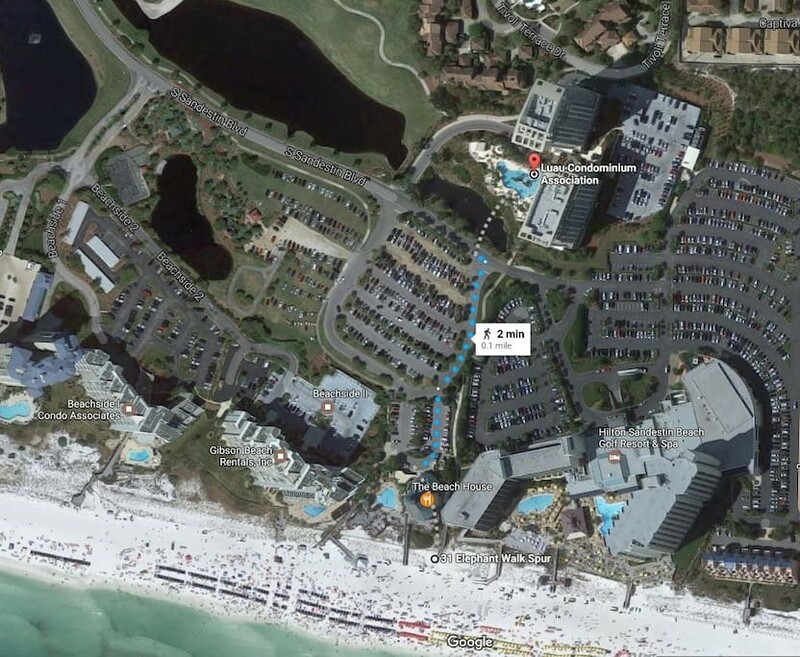 While it's not directly on the beach, it's a short walk (about 150 yards) to the beach. However, the beaches got very crowded by 10:00 a.m. or so; if you want peace and quiet, go early or late. The condo was clean and well maintained and the building has convenient parking (if you can snag a space). We enjoyed having the kitchen and actually ate most of our meals "at home." Watch out for the rent-a-cops, because they can actually issue traffic citations under Florida law, and the speed limit is only 23 mph. Also note that the beachfront restaurant makes amazing fish sandwiches - very fresh and flavorful. This was our family's first vacation to Destin and we had always heard great things about it. We really feel fortunate to have decided on the Luau condo that we had. It was the perfect location, a short walk to the beach. The pool was beautiful. Our room was clean and had everything we needed. There was plenty of parking. We had a nice view. We can't wait to go back again. Everything was great. Except on 3 separate occasions the water went out in the condo from 5-8 hours each time. That made things difficult with trying to cook dinner, take showers and flush the toilet. I had to resort to buying water jugs and when they were empty,collecting water from the pond In order to flush the toilets. That put a damper on an otherwise great stay. Outstanding view of Gulf! Convenient! Close to beach! Excellent. Condo had everything we needed. It was clean, comfortable, and only a short walk to the beach. Highly recommend. The package deal with one free round of golf per day makes the vacation a great value. Especially enjoyed the Santa Rosa golf course. I don't recommend Bluewater Bay. Not worth the trip across the bridge. Luau 7027 is an incredible beach getaway. Short walk to the beach and the unit has great views. Highly recommend.